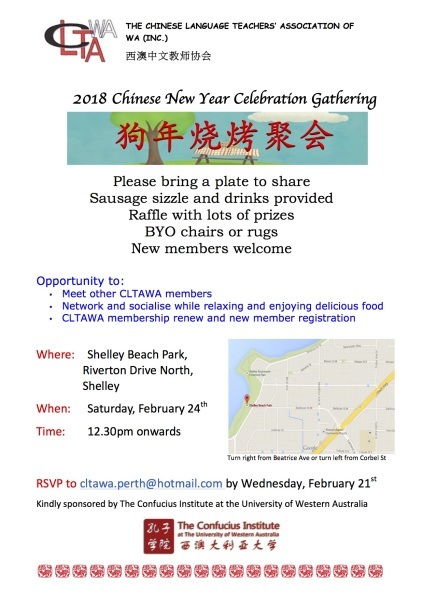 maintaining close links with the Consulate-General of the People's Republic of China in Perth. 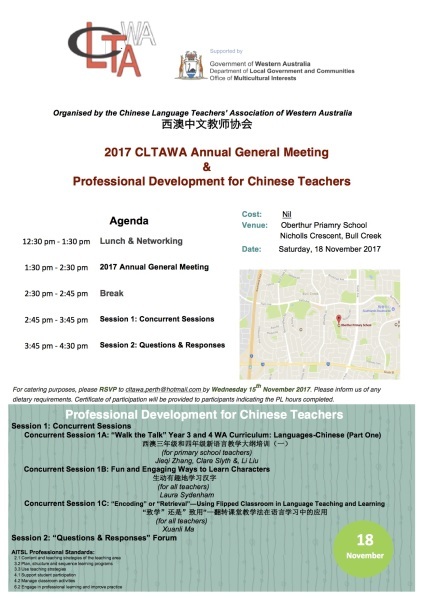 up to date websitesite to keep members informed. 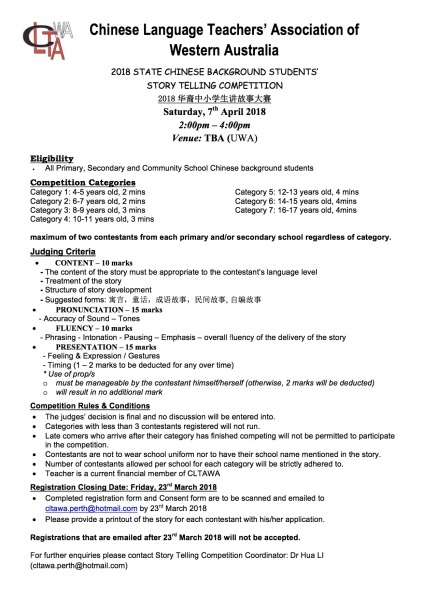 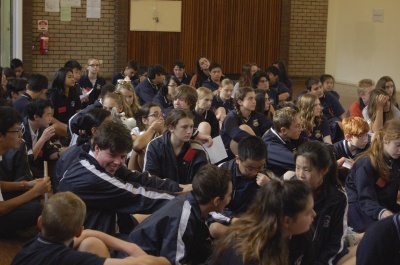 activities for students including speaking and writing competitions. 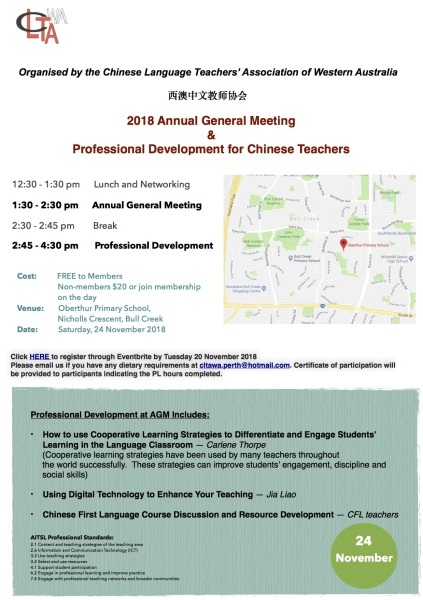 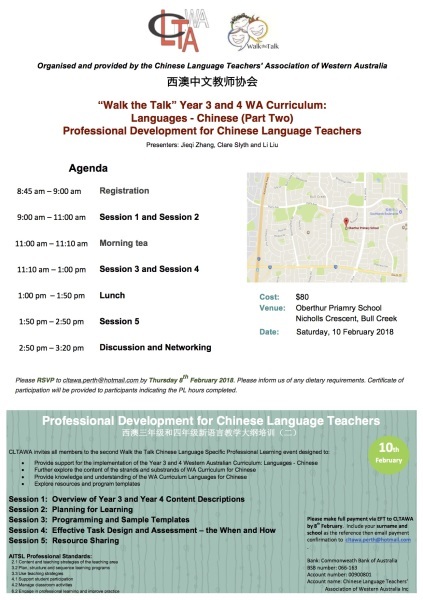 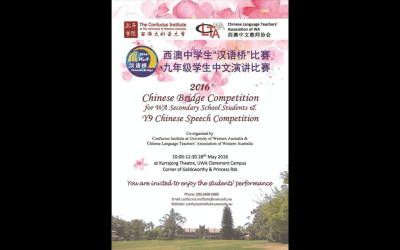 participation in the Chinese Language Teachers' Federation of Australia national Chinese teachers annual conference. 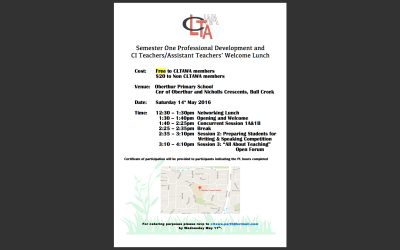 liaising with education authorities and the government. 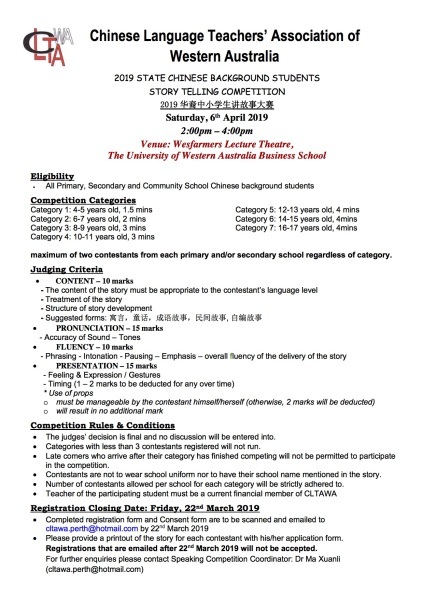 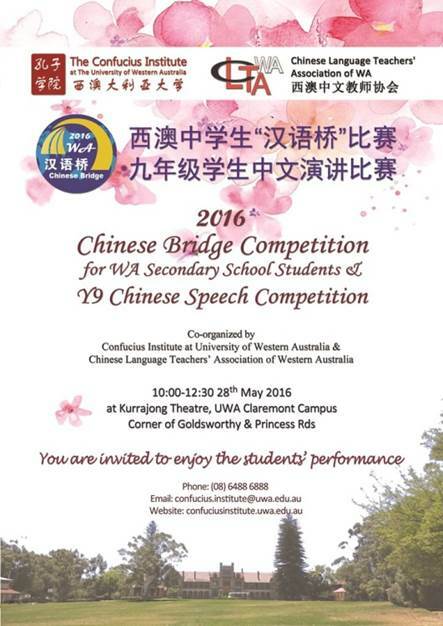 The time and venue for this year's story telling competition is at 1:00-4:00 pm, on 02/04/2016 at Murdoch lecture theater, UWA. 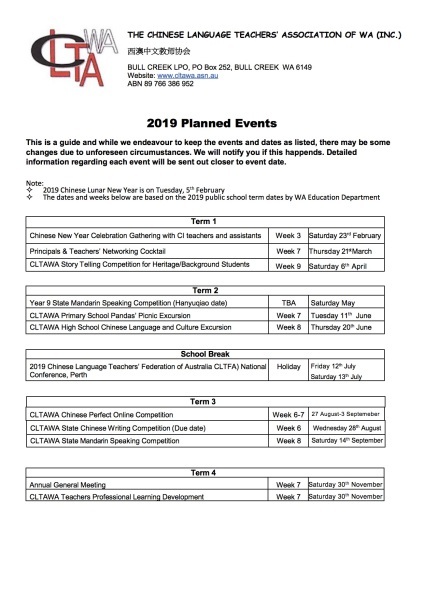 Please get your students ready for this big day. 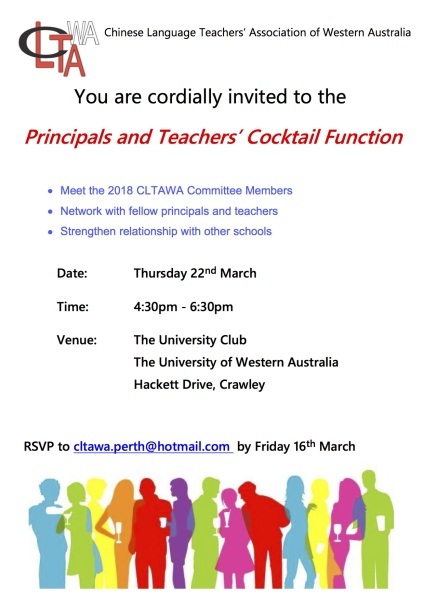 This year's Principal and teachers cocktail will be held in the afternoon of 17/03/2016 at Como Hotel. 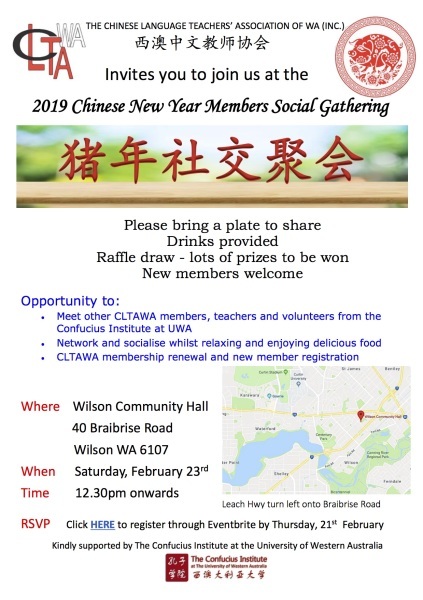 Please save that date for this special social event.